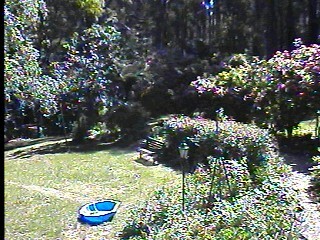 Below is an image taken from the currently installed camera. 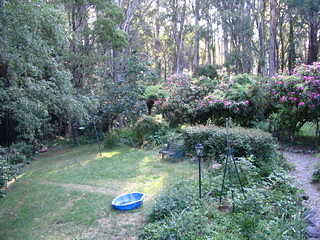 The second photo was taken using my digital camera as a comparison. 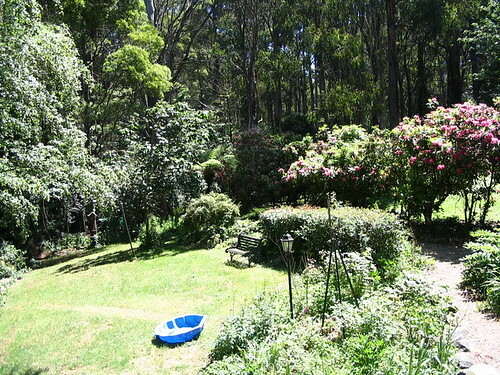 I'm not impressed with its performance for outside images. While playing with it though, images with less contrast were much better although the colour was never great. It is possible that an auto-iris lens will help. I'm now looking at getting another camera as the results from this one are not good enough for my outdoor use. I've collating my notes on camera selection here. These are my notes on how I came to select the camera, and what I've learnt as I go by trial and error. 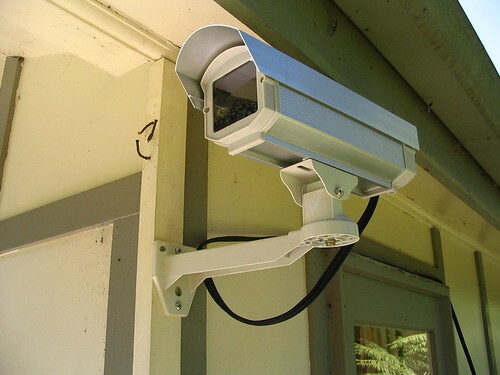 The ideal would be a wireless IP camera, but suited ones are very expensive. 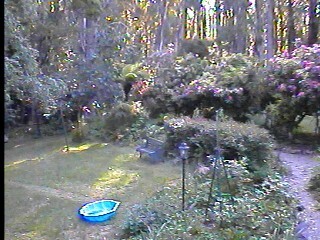 I did buy a CMOS wireless IP camera but the picture quality was very poor for outside use. The range of lighting conditions was just too much for it. I'm not interested in IR night vision, but being able to get a reasonable colour picture across a wide range of light conditions (sunny, cloudy, smoky) is important. CCD image sensor (I understand they have better dynamic range). Control for an auto-iris lens. Prefer DC drive as they seem to be more common and less expensive that Video drive auto-iris lenses. Box style so it can be mounted in an outdoor enclosure. 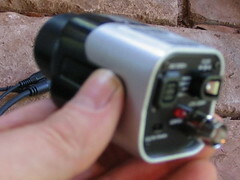 12Vdc supply. I can do 24Vac but I prefer to use 12Vdc if I can as I use my 24Vac supply as a 'dirty' or 'field' supply. Low current consumption would be good but I will probably only switch it on when required anyway as my control system needs to run off 12Vdc batteries. I do require sound, but I can get this off the computer anyway. There are a whole lot of other technical specs that I may need to research. I'm unsure of required resolution, etc. 4mm lens on this camera to give a wide view. Reading sites I'm getting the impression that the Sony and Panasonic CCD image sensors are considered to be better than others. 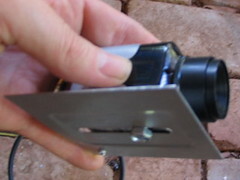 The outdoor enclosure has a metal plate for mounting the camera. The plate, with camera, then slides into the enclosure. Note: Great range of enclosures on the CameraFx site.